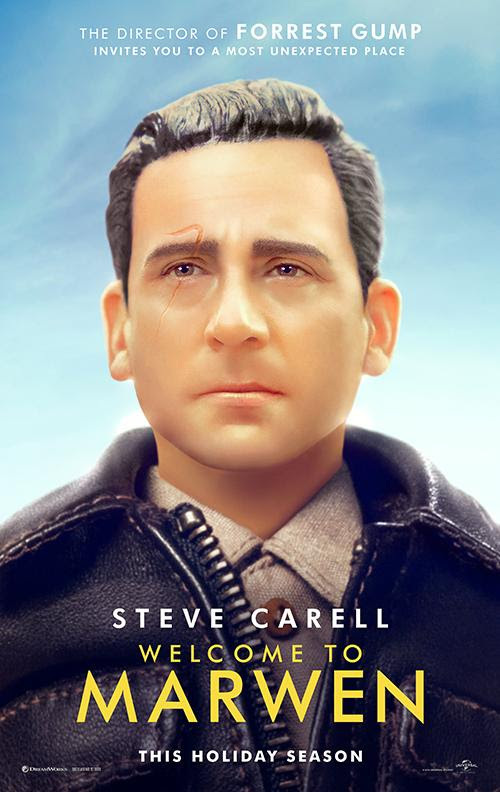 This holiday season, Academy Award® winner Robert Zemeckis-the groundbreaking filmmaker behind Forrest Gump, Flight and Cast Away-directs Steve Carell in the most original movie of the year. Welcome to Marwen tells the miraculous true story of one broken man's fight as he discovers how artistic imagination can restore the human spirit. The epic drama is produced by Oscar®-winning producer Steve Starkey (Forrest Gump, Flight), Jack Rapke (Cast Away, Flight), and Cherylanne Martin (The Pacific, Flight) of Zemeckis' Universal-based ImageMovers banner produce alongside the director. It is executive produced by Jackie Levine, as well as Jeff Malmberg, who directed the riveting 2010 documentary that inspired the film.